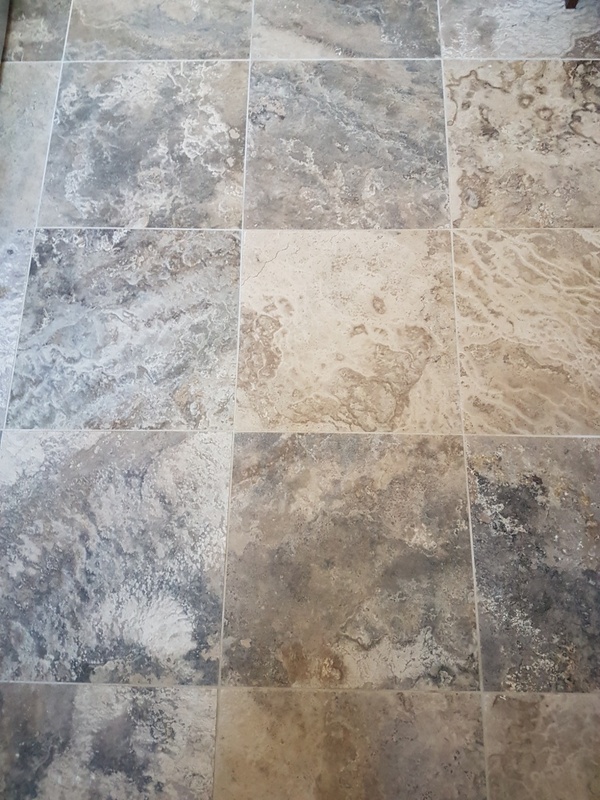 This large Jura Limestone floor had been installed in a house in the history Yorkshire town of Wetherby twelve months prior and after only one year the sealer had worn off. Now dirt was getting trapped into the pores of the stone causing it look dull and uninviting and making it difficult to clean. 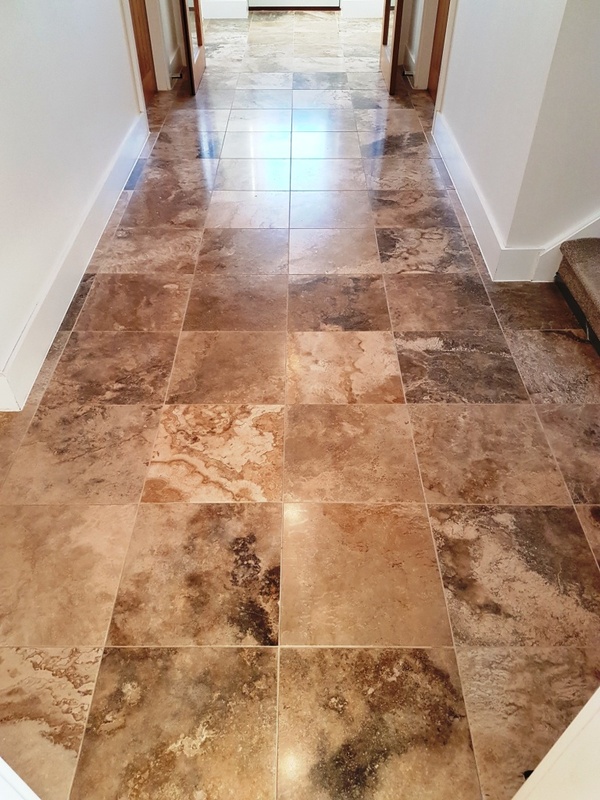 The builder who installed the floor must have used a really cheap sealer as they usually last a lot longer than a year and such a premium stone really deserved better. There were also a few other issues, it seems the floor wasn’t completely clean when it was sealed causing grit and dirt to become stuck to the floor, additionally the sealer had been applied with the underfloor heating on which is a big No No, for best results sealers need to be allowed to dry off naturally at room temperature. The floor was now in a sad state and the owner wanted the floor stripping back and sealing properly. He had received a number of quotes for this job that were between one and two days! To do the job correctly was a 5-day job, fortunately the owner of the property wanted the job doing properly this time around. The best way to restore high quality stone like this is to hone the floor using varying grits of abrasive floor pads. Tile Doctor have developed a technique for this known as burnishing which is a version of stone polishing that involves the application of Diamond encrusted pads. Each pad in the system has its own level of grit and is applied in sequence from coarse to fine in order to re-hone the finish on the stone. 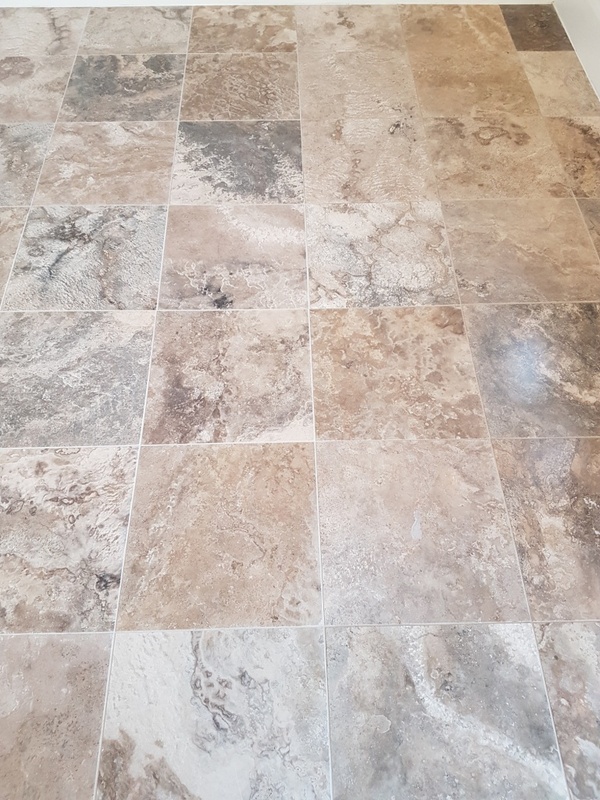 Before burnishing the floor however, the floor was given a clean with Tile Doctor Pro-Clean to remove any grit but with a main focus on scrubbing the grout lines by hand to get them as clean as possible. Once I was happy with the grout the floor was rinsed with water and the soiled cleaning solution extracted using a wet vacuum. I started with the Coarse 400 grit pad lubricated with water and then after rinsing the floor with water I moved on to the Medium 800 grit pad, Fine 1500 grit pad and finally the Very Fine 3000 grit pad further rinsing in-between each pad to achieve a refined polished finish. This process may sound straight forward but the floor had been laid throughout the ground floor and so each section took time to complete. 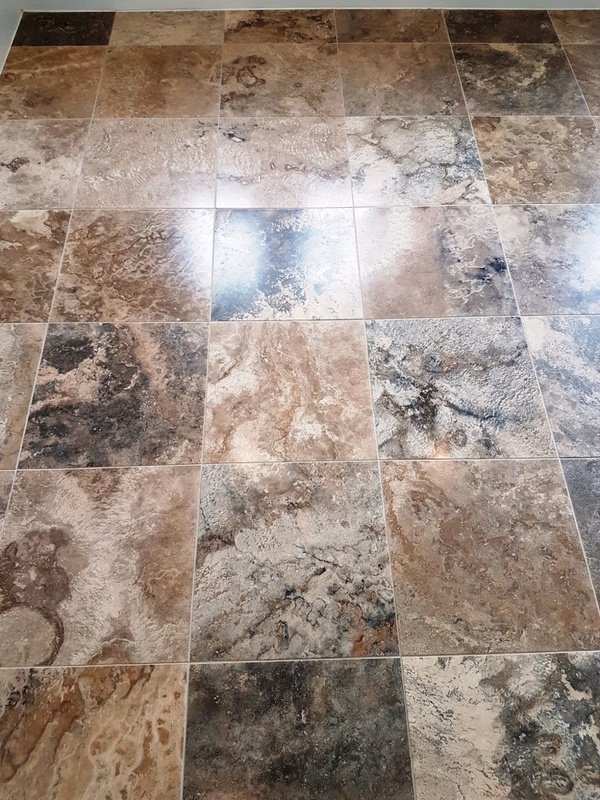 The last step was to seal the floor using two coats of Tile Doctor Ultra Seal which is a premium natural look impregnating sealer the protects the stone from within by occupying the pores so dirt and other contaminates can’t get in there. The floor now looks fantastic and it should stay that way for some time to come.